Chinese telecom giant ZTE faces a grim future after ceasing major operations due to a US ban on American sales of critical technology to the company, raising the stakes in a trade spat between the world's two largest economies. The firm's fate has added a new source of tension to trade talks between the two countries after Chinese officials raised objections to the US ban during negotiations with their American counterparts in Beijing last week. 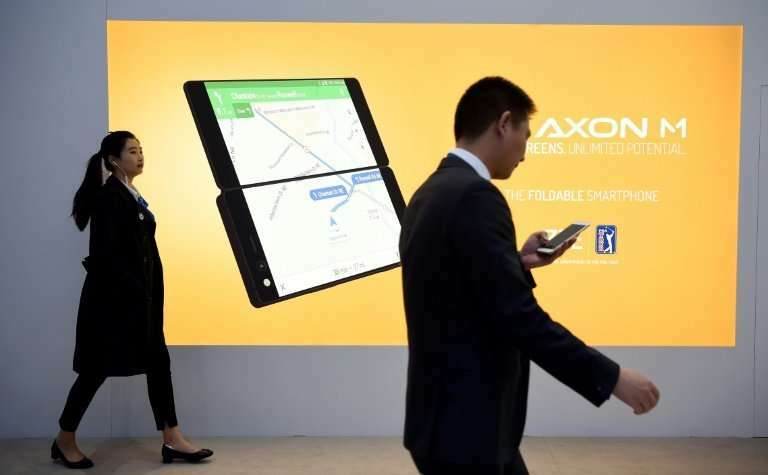 ZTE's fibre-optic networks depend on US components and its cheap smartphones sold en masse abroad are powered by US chips and the Android operating system. Without access to such technology, the company has been forced to partially shut down. "Major operating activities of the company have ceased," ZTE said in a filing Wednesday. Its dimming prospects could further sour discussions just as China's top economic official, Vice Premier Liu He, heads to Washington for another round of negotiations next week. "The Trump administration has sent a clear signal to China through its attack on ZTE: compromise, make compromises" on trade, said Cheng Xiaohe, an international relations professor at Renmin University. "Otherwise, we will kill you." He added that the US is also investigating another Chinese tech giant, Huawei. A telecom components buyer specialising in ZTE products said he had seen the effects of the production halt ripple into the market, with prices for available ZTE goods jumping 50 percent or more. "They've stopped production of all products that have chips in them," said Zhao, the buyer, who declined to give his full name, adding that if production completely stopped for a year, "all ZTE's gear will become scrap." Beijing has closely followed the developments around ZTE, a company with 80,000 employees headquartered in southern China. The ban on US sales to the firm arose from its skirting of US export controls by selling to banned countries like North Korea and Iran with employees documenting how to evade American oversight. 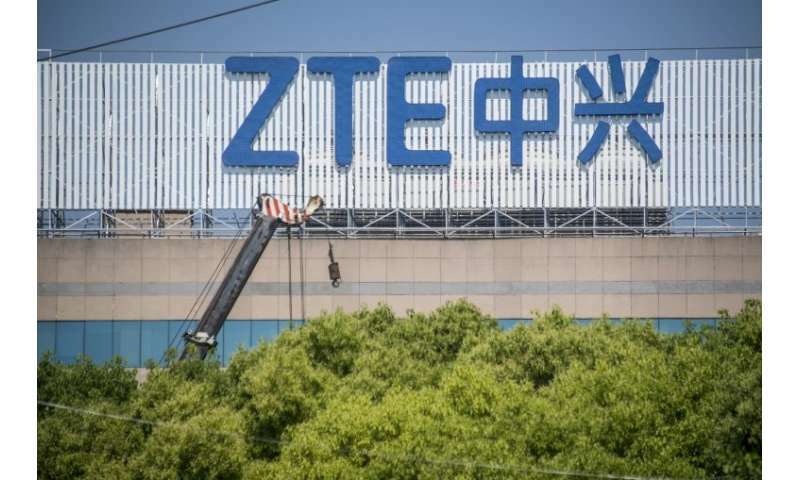 Those actions led to a $1.2 billion fine last year, with the current export ban imposed in April after ZTE allegedly failed to live up to its agreement, lying about the punishment of employees involved in the sanctions skirting. In Beijing, officials see the ban as part and parcel of the Trump administration's hardline trade demands. "This is ringing major alarms for China," Cheng said. "If the trade problems aren't resolved, and a full-scale trade war erupts, these high-tech companies will bear the brunt of it." The result is that Beijing has been galvanised to push harder to develop the technology the US is now denying to ZTE. "China must rely on itself for core technologies," President Xi Jinping told scientists as he visited an IT firm last month, while officials confirmed they were raising a huge new fund to invest in computer chips. ZTE said in the filing it is still "actively communicating" with the US side "to facilitate the modification or reversal" of the ban, and hopes to "forge a positive outcome". On Sunday, the firm submitted a request to the US commerce department for a stay of the export ban, along with supplemental information. In Wednesday's statement the firm said it still "maintains sufficient cash" and would continue to pay its debts. Trading of its Hong Kong and Shenzhen-listed shares has been halted since the US decision. In a ZTE research and development centre in Beijing, employees remained at work, with a warning posted on the wall of their office. "Abide by the law, and strictly observe civic values," the employee regulation said.